Niagara Catering Services is your premier catering company serving Niagara on the Lake, St. Catharines, Welland, Niagara Falls and surrounding areas an incredible and unforgettable experience. Our clients know they can trust us to deliver delicious and a variety of scrumptious dishes. Let us know the number of guests, any specifications, and we’ll create several different options which fit your schedule, budget, and expectations. We go above and beyond here at Niagara Catering Services. We are able to serve at any venue, and will guarantee prompt and friendly service. 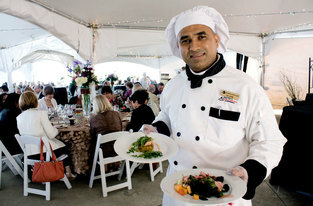 Niagara Catering Services will impress you the moment the process starts. 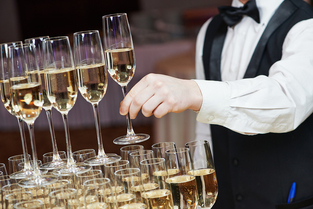 From the first phone conversation, to interacting with one of our amazing staff, to meeting and seeing our servers in action, and with the final clean-up, you’ll be glad you hired our catering services. 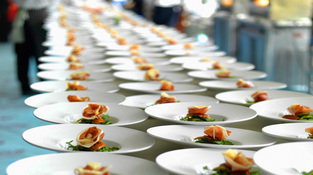 Give Our Professional Catering Services a Try! 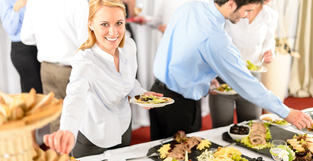 Because we have been serving customers in the Niagara on the Lake area for a number of reputable years, you know we have what it takes to be an exceptional full service catering company. Our staff and servers are highly trained, our chefs have worked in top restaurants and attended wonderful culinary schools, and we are familiar with the area to ensure lasting relations with clients. We have valued repeat customers who book us for all their major events, and even corporate companies trust our reliable and exceptional services. What makes us stand apart from other catering companies is our ability to make each customer feel special. We value our clients and treat them with utmost care. We walk you through the entire hiring process and you’ll know exactly what you’re getting with our company. Because we work hard to provide an amazing dining experience, you can rest easy with everything covered. We can customize a personal menu for you, give you different entrée, dinner, and dessert options. We can also discuss presentation and timing of your event. Here at Niagara Catering Services, we want nothing but to serve you with quality and delicious food. Food is what brings family and friends together. Whether you need catering services for an anniversary, corporate event, or a fundraising gala, we accommodate any occasion and schedule. We have adequate staff to provide services for several functions happening on the same date. Calling us today is the best way to ensure availability! Book with us so you can enjoy your big event or occasion. Let us give our personal touch to your affair with dazzle and succulent food. Niagara Catering Services is your premier catering company serving Niagara on the Lake and surrounding areas for an incredible and unforgettable experience. Our clients know they can trust us to deliver delicious and a variety of scrumptious dishes. Let us know the number of guests, any specifications, and we’ll create several different options which fit your schedule, budget, and expectations. We go above and beyond here at Niagara Catering Services. We are able to serve at any venue, and will guarantee prompt and friendly service. Call us today at 289-273-2266 or fill out the form at the top right hand side of your screen to discuss how we can meet your needs.